for the “snowboarder” described in class. 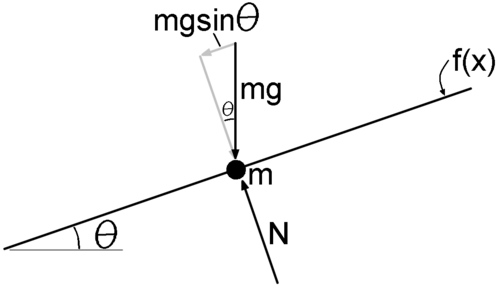 Returning to the free body diagram, we can come up with an expression for the tangential force to use on the left side of Newton's second law. The sign of the tangential force is negative because it acts “against” the slope of the hill.